I haven't shared a book review with you guys in what seems forever! 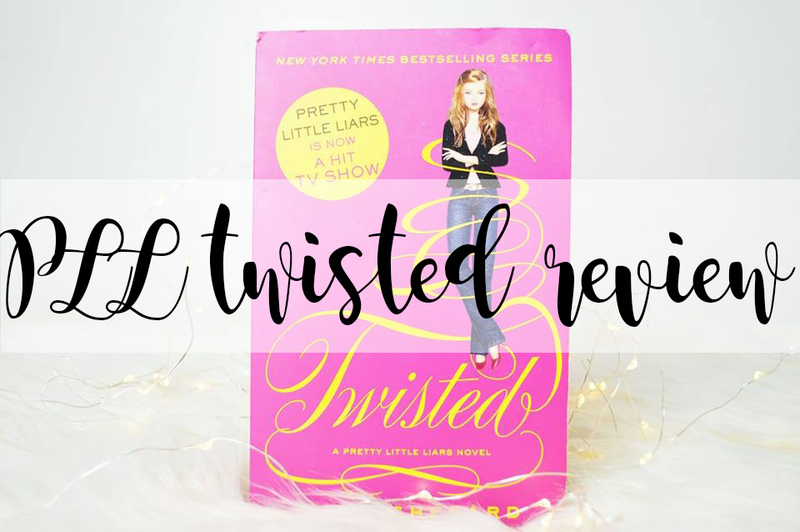 So today I'm going to share with you my thoughts on one of the books from the Pretty Little Liars series; and of course it's Twisted! I believe this is the ninth book in the series if any of you were wondering. So I have had very mixed emotions about this book compared to all of the rest. This is when they've thrown in a few hidden twists which you really do not expect, and a lot of this book contains a story line which isn't in the TV series. Therefore, if you're like me and reading the series after watching them, you're going to be extremely confused! Unfortunately, I do not want to give you too many details about what goes on in this book and what's different to the book than the series, as this would be unfair for anyone who does want to read the series which Sara has brought out. So I'm not going to give you too many details. But I just want to know, why did they kill off Toby and his sister from the very start? Who is the random girl in this book who isn't in the series? And why does Allison have a twin who is actually the real Allison? Someone please tell me. I will always recommend reading the Pretty Little Liars books, they're absolutely incredible. This book however is extremely confusing and a bit pointless, but I am looking forward to reading the next book. So yes, I recommend it to you, along with all the rest. Out of all the Pretty Little Liars books, I personally wouldn't re-read this one; it just didn't make any sense to me. What do I rate out of 5? If I could rate it out of 5, I'd give it a 3. The content was still pretty amazing, but it didn't line up with the TV Series, and they've sort of gone on a random rampage into nothing while also confusing you in the process. Have you read this book? Let me know what your thoughts were.